Blog Quick Quotes: Sparkle and Shine with Alicia! Sparkle and Shine with Alicia! It's Alicia blogging today with a winter themed card. 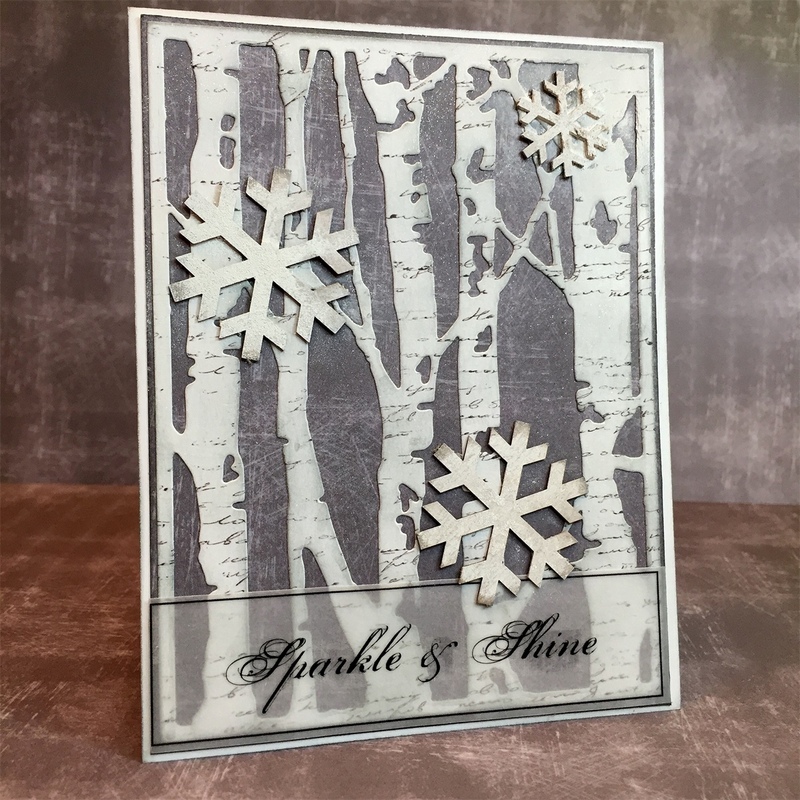 I purchased my birch tree die prior to Christmas but never got around to using it for a Christmas card, luckily it is a versatile design - check it out. I still wanted to stay with a winter theme and the 49 Shades of Grey 102 paper made the perfect "birch" wood! I inked it up with Coal Miner PowderPuff Chalking Ink to give it a more distressed look. I found some chipboard snowflakes from a prior Club Q kit nd inked them with Coconut White PowderPuff Chalking Ink. I layered all this on 49 Shades of Grey 101 paper to continue the winter look. After finding the Sparkle and Shine Vellum Quote, I just knew a touch of my Wink of Stella shimmer pen would be the perfect touch to finish off my winter scene. It looks magnificent in person! 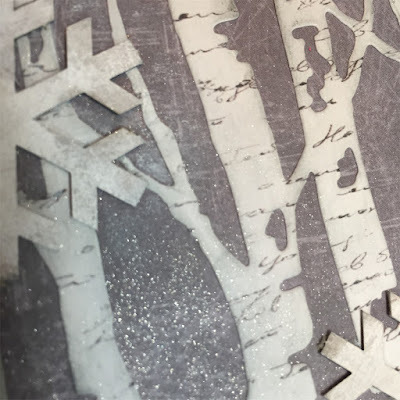 That is the perfect paper for those birch trees. Beautiful. How clever using the 49 Shades of Gray 102 for the trees. Love it!! !